Apple was the first major company to throw its weight behind USB Type-C with a flagship product - the new Macbook - but Google isn't far behind. The search company launched its own brand new notebook, the second-gen Chromebook Pixel, with USB Type-C this week as well. And now Google has revealed that Android phones are next. USB Type-C is a faster, more versatile and conveniently reversible connector that replaces USB, power and other types of cords. 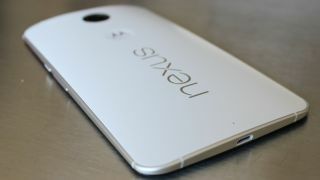 According to Google Product Manager Adam Rodriguez, it will begin appearing in Android phones soon. "We at Google are very committed to the USB Type-C spec. Expect to see this in a lot of Chromebooks and Android phones in the near future," he says in the video above. "USB Type-C delivers more power than most devices need today, so it's going to be able to support many things into the future," Google Director of Product Management Andrew Bowers adds. Given the plug's versatility and its fast adoption across the tech industry, one has to wonder: will Apple replace its Lightning cords with USB Type-C as well? Here's hoping that announcement is next.